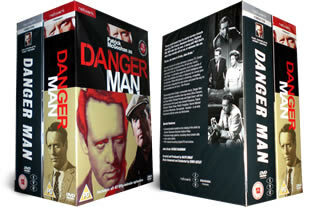 Danger Man DVD complete collection box sets. 19 dvd's and the complete original monochrome series from 59, plus the colour series from the 60's. DELIVERED FREE IN THE UK. Back in the 60's before James Bond there was Danger Man. The cult classic tv series starred Patrick McGoohan and was first transmitted in 1960. Danger Man is John Drake a Nato special agent travelling the world on dangerous missions. Contains every episode ever made. 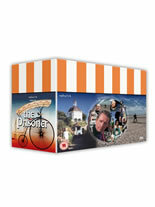 Please not we can see these sets individually if you would like to order please call 0208 123 1333.